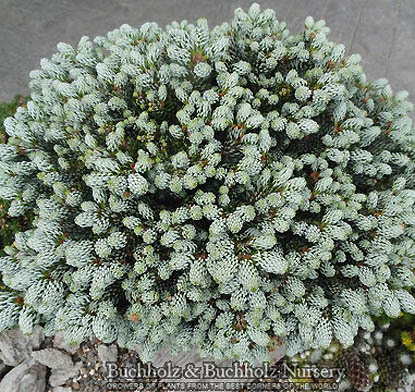 Tiny, bun-shaped miniature conifer. Recurved needles like those of 'Horstmann's Silberlocke'. Growth rate of 3 or less inches per year means it will be a long time before it out-grows it's given space. Very unique conversation piece.